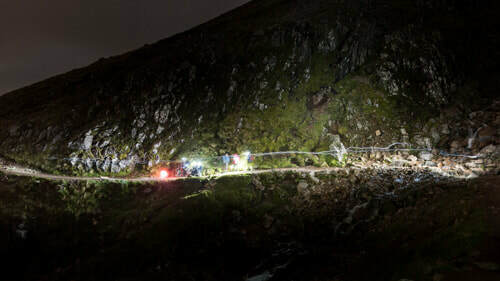 Nevis at Night is an experience of Glen Nevis and Ben Nevis for everyone, and a charity event like no other. 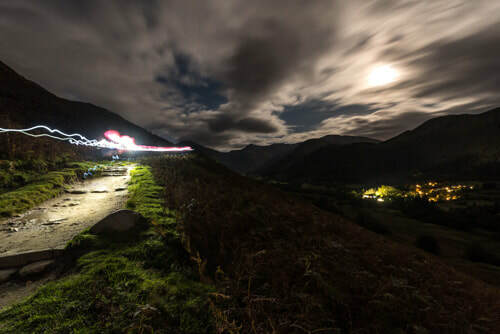 Reach for the stars and Light up Ben Nevis with our night ascent, raid the ancient fort of Dun Deardail or immerse yourself in the multi-sensory experience of the Elements riverbank trail. And it's all in support of the Ben Nevis Fund to carry out essential environmental work in the Nevis area. Immerse yourself in unique visual, aural and virtual experiences within Glen Nevis involving performance art, sound, dance, visual art and theatre, accessible to everyone. Challenge yourself to walk to the ancient fort above Glen Nevis on a guided walk packed with poetry, music and light, and be part of the light up experience. The biggest challenge and the biggest experience. Climb to the summit of Ben Nevis at night in a guided group with poetry, music and light to enhance the natural beauty. - We make a substantial contribution to the Nevis area for vital environmental management work. Ben Nevis is not a free event space and it takes a lot of looking after. - We use Abacus Mountain Guides, with the highest qualifications and seventeen years experience of mountain safety management. - We use local mountain leaders so there is a direct positive financial impact on the local area. - We do an impact analysis and restore any impact on the trails we use. - We have full support from John Muir Trust, Friends of Nevis, Forestry Commission, Mountaineering Scotland, Jahama Estates and Nevis Landscape Partnership. - We use GPS trackers to display participants' locations online and the one big screen at event base so friends and family can support and encourage them along the way.